For the regular readers of our blog, you may recall I questioned in January (Family relationships in The Archers) whether the relationship between Rob and Helen in Radio 4’s The Archers was showing the hallmarks of domestic abuse, and specifically, of coercive control. The alarm bells in my head were, it transpires, correct. Helen is falling headlong into a situation which will become very difficult to disentangle herself from. Having now married Rob (suddenly and entirely at his whim) and allowed him to get involved in the running of her new business venture (by making her feel inadequate and undermining her skill-set), he is now also financially reliant on her, having given up his job. Increasingly acting in anticipation of what Rob will think and avoiding any possible conflict, is a typical sign of an abusive relationship. As is the fact that after plying her with alcohol, there is a vague notion that Helen may have been raped. Yes, it is possible to be raped within marriage. What’s worse, is that just as Helen may have seen him for what he is, her parents have suddenly fallen for his spurious charms, making it harder for her to open up and discuss her concerns. Have you spotted how Rob is jealous and possessive? This often masquerades as being ‘over caring’. Notice how he has cut Helen off from family and friends and tried to isolate her. A common sign that this is happening is that the victim cancels plans at the last minute. Rob can be charming one minute and abusive the next. Sudden changes of mood or a Dr Jekyll and Mr Hyde type character are another common sign. Control over the other person’s life – for example, in relation to money, who they should see, what they should wear and where they go are further danger signs. Have you noticed that Rob blames Helen for making him feel bad? It’s common for an abuser to blame the abused and make them feel guilty. Rob is not averse to criticising Helen in public which she finds insulting and humiliating. Have you noticed how Helen changes her behaviour to avoid making Rob angry? That’s another potential sign of abuse. Physical and sexual violence, often justified as ‘getting carried away’ is something else we’ve seen in the Rob and Helen relationship. As with the situation with Helen in The Archers you may not see all of these signs if a friend or family member is suffering. And you’re unlikely to be told as victims of abuse often feel responsible for their situation – a result of the loss of self esteem. But if you are concerned, there are a number of ways you can help. The first step is to be a listening ear and create a safe place for them to tell you what’s happening. If you are the victim don’t suffer in silence, discrete, confidential advice is available. The National Domestic Violence helpline has lots of useful information for victims as well as their friends and family. 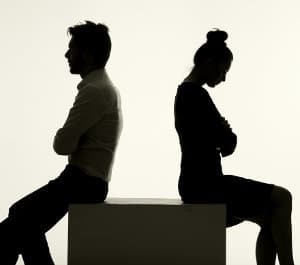 If you feel ready to take legal action there are several ways a family lawyer can support people who are the victims of abuse, ranging from obtaining occupation and injunctive orders to force the abuser from the house to divorce proceedings and negotiating the financial consequences of the relationship breakdown. The police can also act under new powers, whether the violence is physical or emotional. If you are a friend who is worried, a carefully framed question, oft repeated, may eventually get the victim to open up. Then the help and support can begin.